Critics say digital loot boxes — which offer video gamers features like new character outfits and powerful weapons — are predatory, seducing people with murky odds and dazzling presentations. In the 1980s, arcade games chugged quarters as players tried to reach new levels. Today, many video games let players at home spend a dollar — or much more — to open digital “loot boxes” that offer features like new character outfits and powerful weapons. Finding the rarest items in these boxes can be expensive for players and lucrative for game publishers because the contents are randomly generated. That has legislators in several states concerned that the boxes constitute gambling and should be regulated like lottery tickets and slot machines. Most of those bills — including the one in Washington — have stalled, though, sparing for now a substantial revenue stream for the video-game industry, which is eager to counter rising production costs. Activision Blizzard, whose portfolio includes popular games like “Candy Crush,” “Call of Duty” and “Hearthstone,” generated $4 billion in 2017 from in-game transactions, more than half its total revenue. That amount includes both loot boxes, whose specific contents aren’t revealed until after they’re bought, and traditional purchases. Dan Hewitt, vice president of media relations for the Entertainment Software Association, an industry trade group, said loot boxes are not gambling because they each provide something to use in the game. They offer an alternate experience, and players are not required to buy them, he said. “Our industry constantly tests new business models because those innovations can drive creativity and fan engagement,” Hewitt said. He added that legislation is unnecessary because the industry responds to players’ concerns. The Entertainment Software Rating Board recently has introduced an “in-game purchases” label, and consoles have parental controls that can block children from buying in-game content. Critics say those steps are inadequate and that loot boxes are predatory, seducing people with murky odds and dazzling presentations. Even if they are not legally deemed gambling, they share core principles with casino games, said Keith Whyte, executive director of the National Council on Problem Gambling. 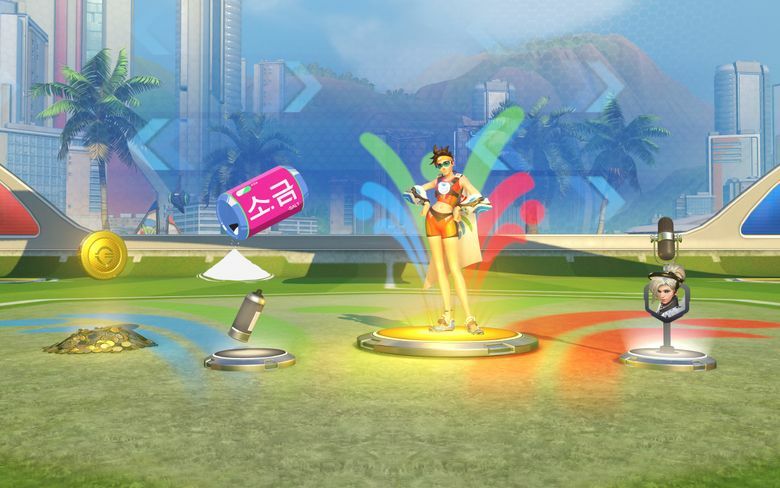 Most loot boxes can be accumulated free by playing the game, but they are also for sale: In “Overwatch,” a vibrant team-based shooter by Blizzard, they are sold in packages from two for $2 to 50 for $40. The items in the loot boxes vary in rarity: common, rare, epic and legendary. The software association has compared loot boxes to packs of sports cards or games like “Pokémon” and “Magic: The Gathering.” In the 1990s, unsuccessful lawsuits made similar gambling claims against the companies of those products. Those audiovisual cues are important, Whyte said, noting that casinos have preserved the sound of crashing coins even though slot-machine winnings now come on slips of paper. When an elite soccer player is opened in the game “FIFA 18,” fireworks explode and confetti falls. Items in “Overwatch” soar into view to a triumphant tune. Gaming commissions in the United Kingdom and New Zealand have said loot boxes are not gambling. The Netherlands Gaming Authority, however, announced this month that at least four popular games violate its gambling laws because loot-box items can be transferred in a marketplace, assigning them value. Player opinions are not monolithic. James Tuttle, 38, of Wilmington, Massachusetts, considered the $300 he has spent on “Overwatch” loot boxes worthwhile because he has played for more than 800 hours. “I don’t see it as a gamble; I see it as an investment for future fun,” he said. A public outcry came in November, during an early access period for “Star Wars Battlefront 2.” Frustrated players complained that unlocking popular characters like Luke Skywalker and Darth Vader for use in multiplayer modes would require playing for dozens of hours — or wielding a credit card instead of a light saber. Loot boxes have been prevalent for at least a decade, mostly in free games, but the “Battlefront” controversy was “the first real big punch in the gut,” said Christopher Hansford, political-engagement director for Consumers for Digital Fairness, which wants randomized in-game transactions regulated as gambling. It was also the catalyst for Lee’s legislative proposals in Hawaii. The bill that has survived would force publishers to publicly disclose the odds of loot boxes — a requirement that exists in China. Other loot-box legislation has faltered, including the bill in Washington asking the state gambling commission to study the use of loot boxes. It was introduced in January but never made it to the floor for a vote. Other stalled legislation includes a California bill seeking warning labels; a Hawaii bill proposing a minimum age of 21; an Indiana bill asking the attorney general whether they “prey on children”; and a Minnesota bill requiring the disclosure of odds.